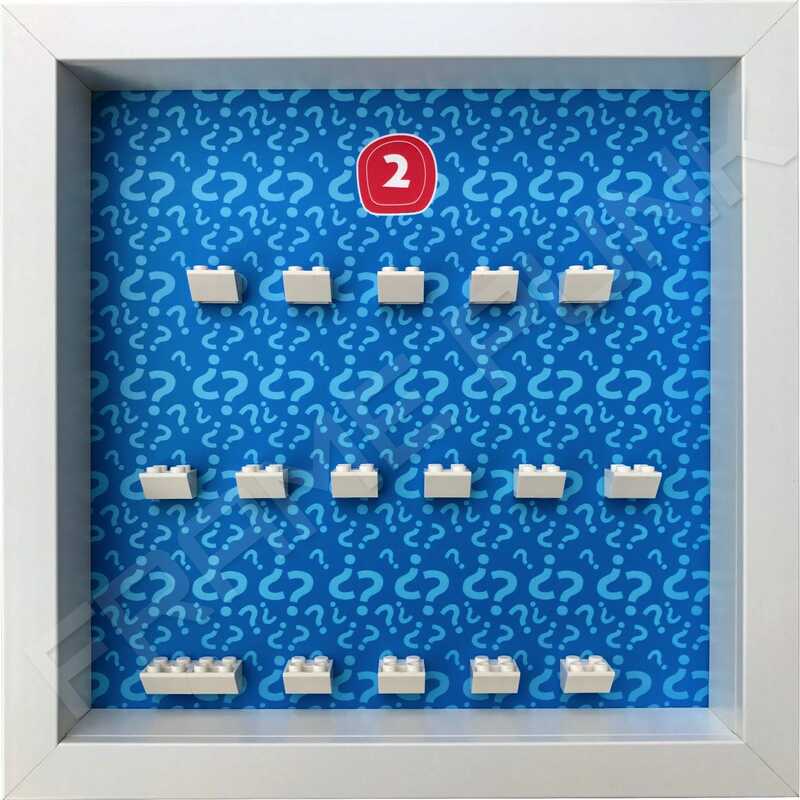 For display purposes we have used a mounting brick formation and colour that we think best suits the background in question. 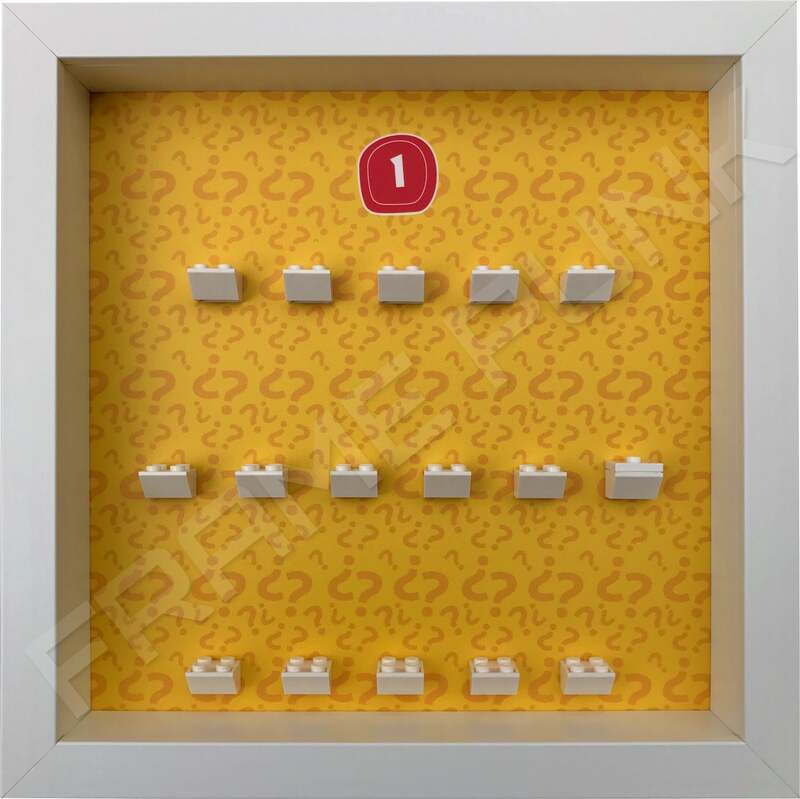 To buy this, select the white brick colour and the “Standard” option in the drop down menu below. 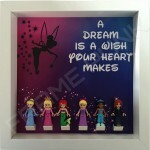 Delve into the magic that is our Disney Princess display frame. 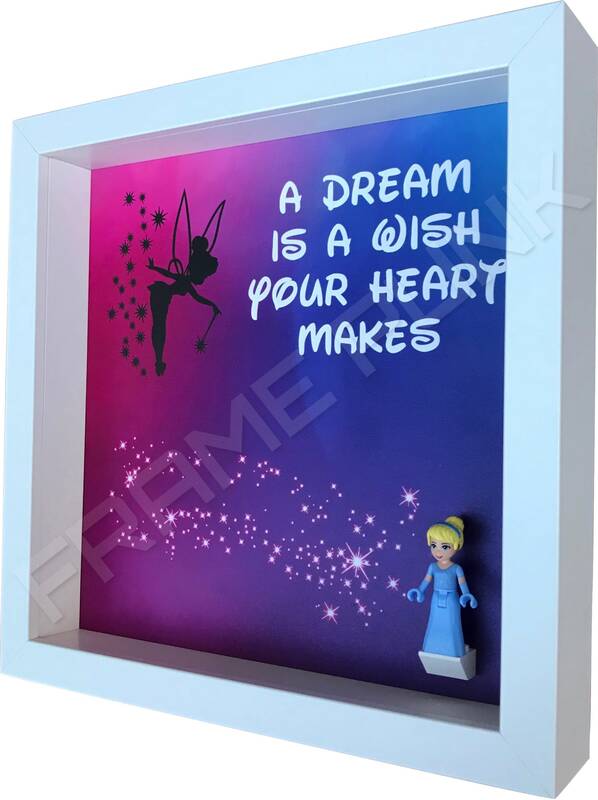 Perfect for your little princess’ bedroom wall, this will capture the heart of any young aspiring princess! 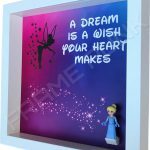 Tinkerbell flutters on a backdrop that gradually fades from pink to blue. 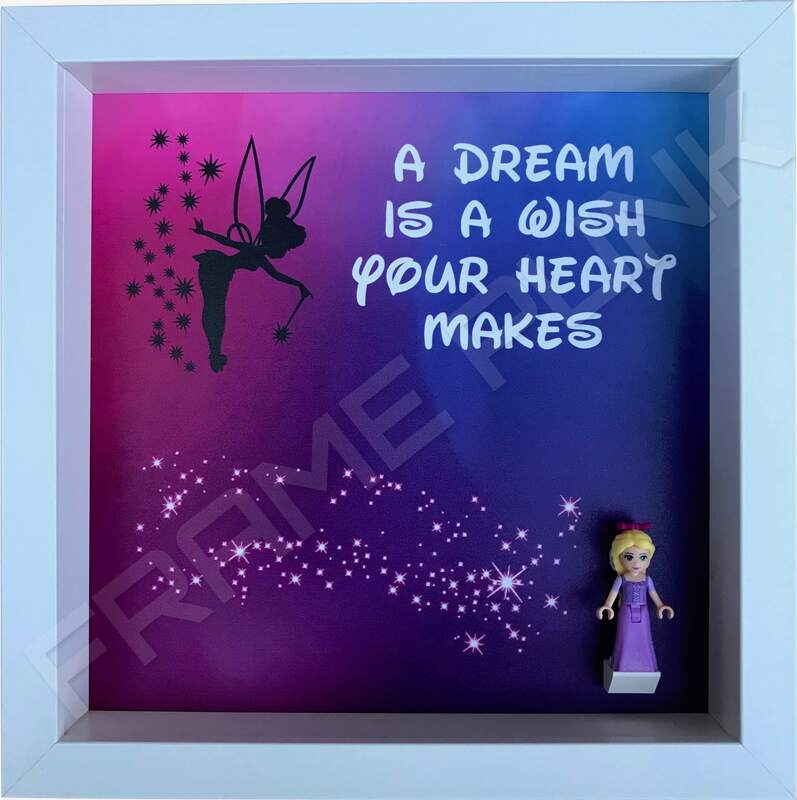 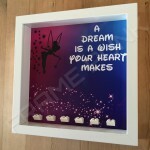 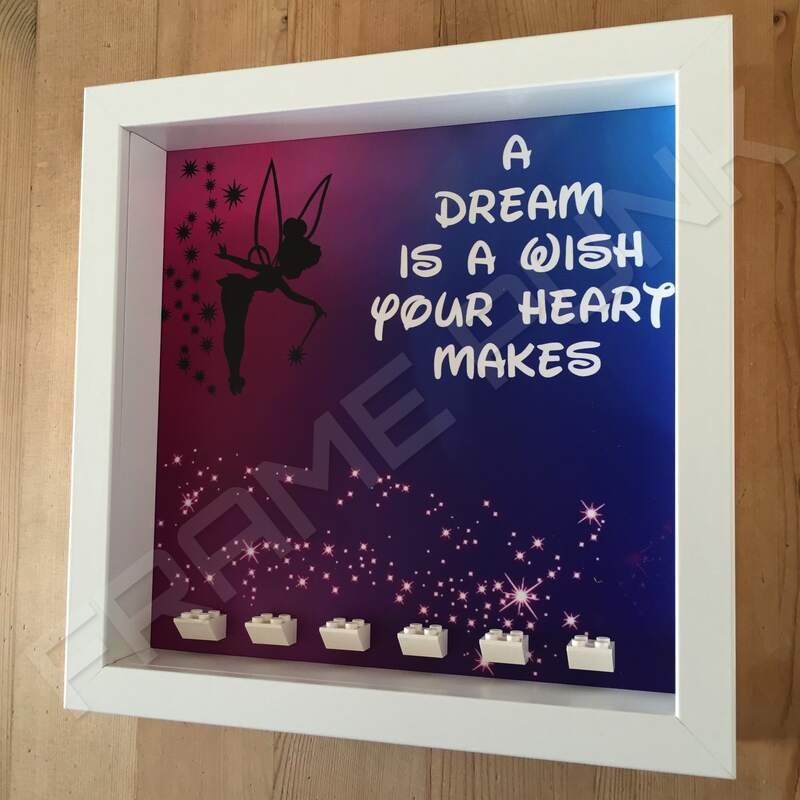 The words “A Dream Is A Wish Your Heart Makes” appear in white Disney font and a swirl of sparkles appears along the bottom of the frame. 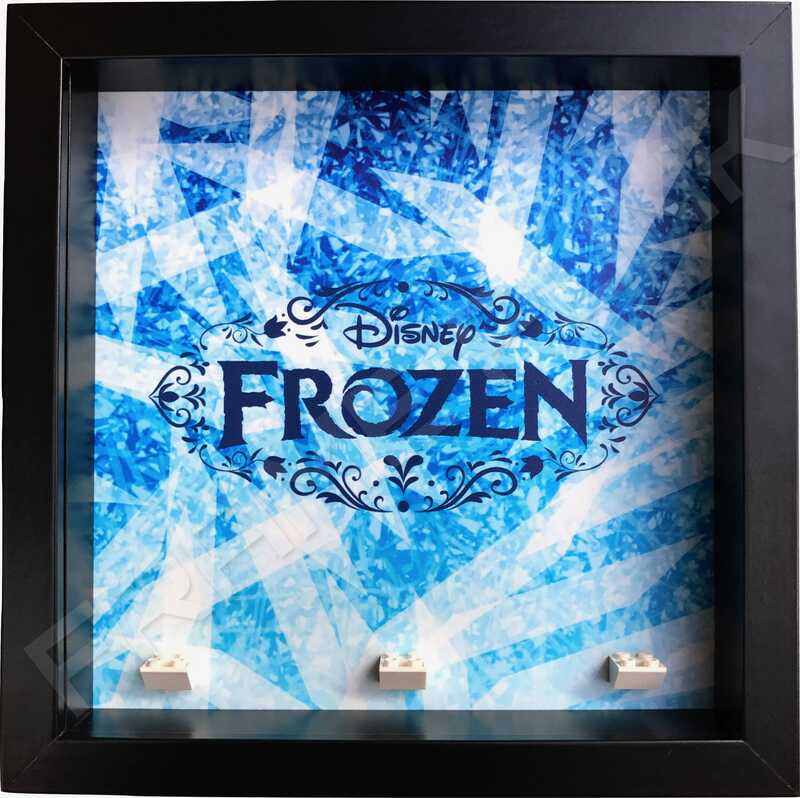 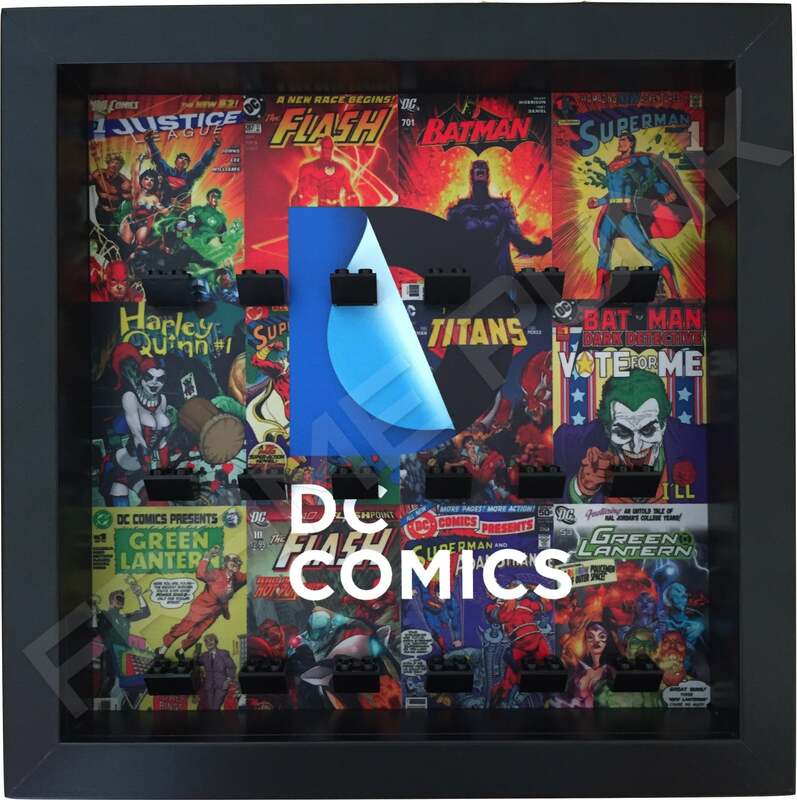 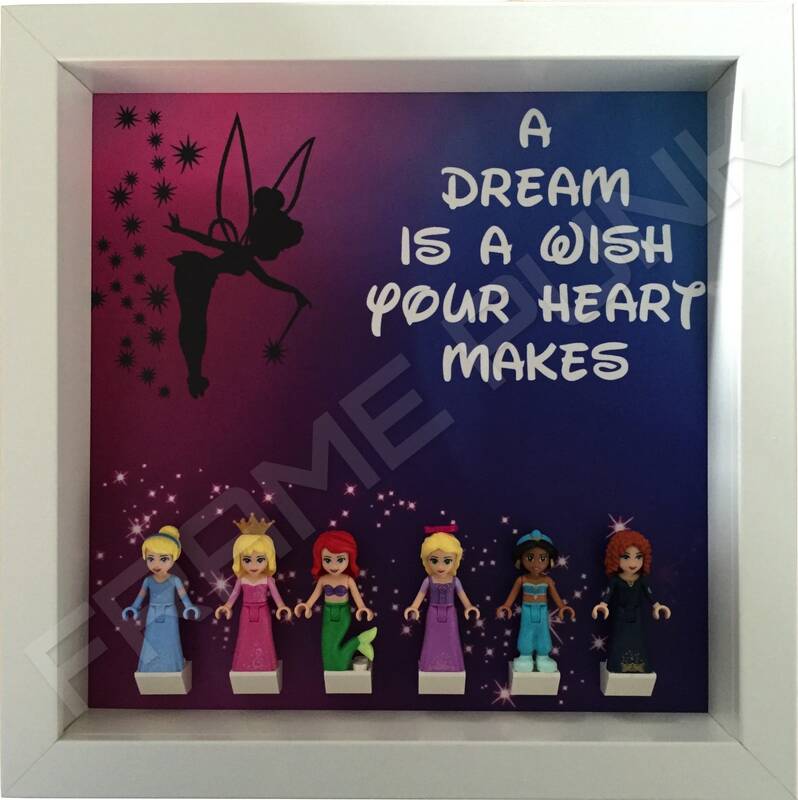 Our Disney Princess display frame is available in black or white and brick colour choices are – red/blue/black/white/green/lime/orange/yellow.